Morrissey has canceled his fourth show in Atlanta. For the fourth time in 18 months, the singer has cancelled a show in Atlanta due to illness. According to reporters, the singer and his touring crew have come down with a virus. 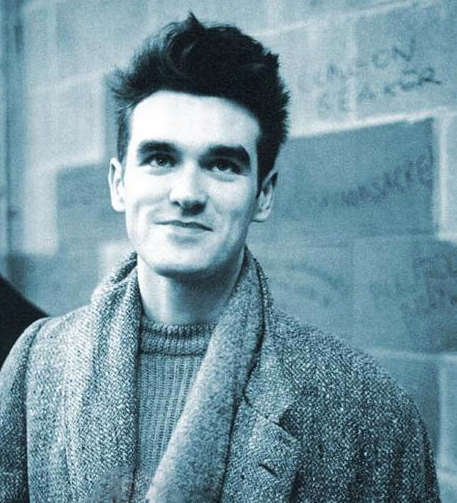 The Atlanta saga started in December 2012 when Moz cancelled a series of shows, including Atlanta, to be with his sick mother in Britain. The makeup show in January was also scrapped after he was admitted to a Michigan hospital for treatment of bleeding ulcers. That was the beginning of his 2013 medical meltdown that included a diagnosis of Barrett's esophagus, double pneumonia and other ailments, all of which led some doctors to recommend that he retire. The end result was the cancelling of his entire tour, including a third date in Atlanta. That brings us up to today and the fourth no-go at Cobb Energy Performing Arts Center whose managers have to be thinking that they will never see Morrissey on their stage. There's no word yet on whether their will be a fifth try.